Today I'm Guest Designing for the wonderful Gerda Steiner Designs. 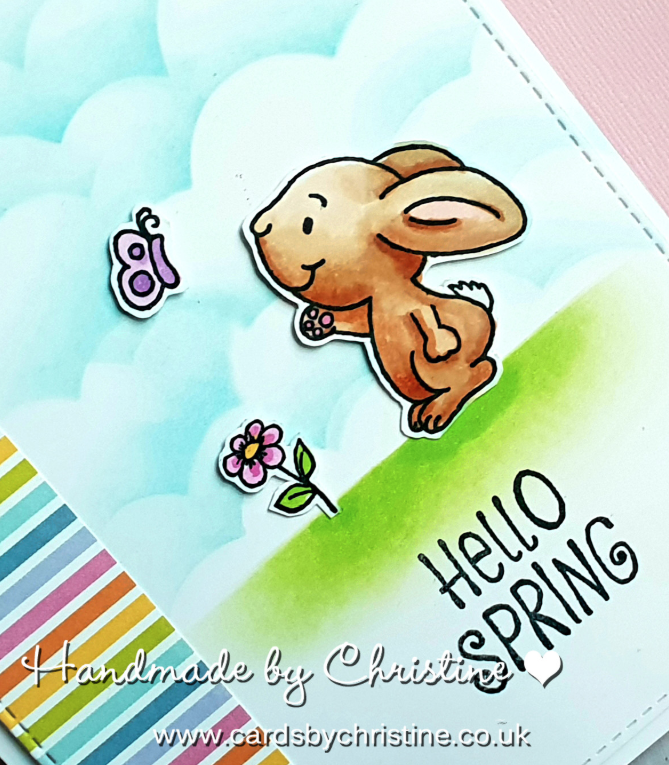 and I've chosen to use this uber-cute bunny from the Hello Spring Stamp Set - as Spring (especially here in the UK) is just around the corner. I used a cloud stencil and some Distress Inks to create the sky background - then used some post it tape to give a clear line so I could sponge the grass - again using Distress Inks. Hope you like my make today and that you'll take a peek at the fabulous stamps available at Gerda Steiner Designs! your card ist wonderful! I love the combination of colours, paper and motive. So adorable.